How to use Incredible Spice recipe Kits. Create it! 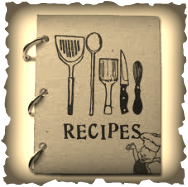 Recipes for you to try! 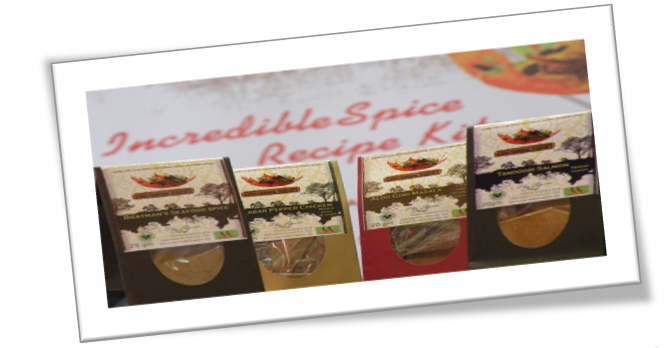 Incredible Spice Recipe Kits are the creation of The Spice Chef , this is a new approach to the olden style of teaching how to cook with spice at home. 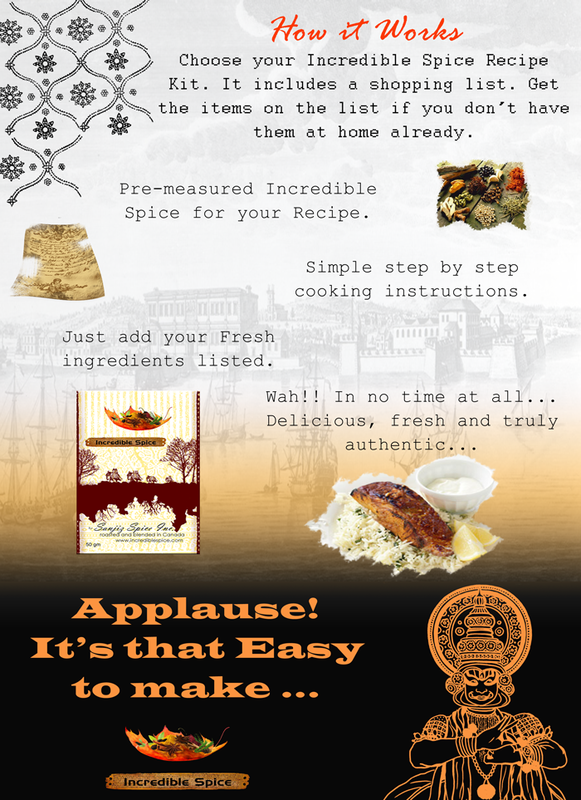 Our each spice kit contains pre-measured freshly ground spices, which will assist you to create a dish for 4 - 6servings in no time, just add the fresh ingredients listed, and follow the step by step cooking instructions in the recipe card.